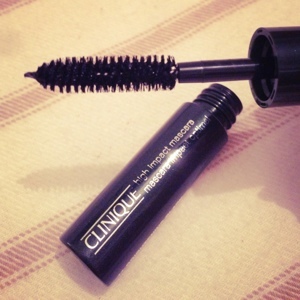 I was given a sample of this mascara from a lovely lady on the Clinique counter in Selfridges and was so so excited to try something new. I have been a loyal fan of the Loreal Paris Double Extension Renewal Serum Mascara now for a few years and have never strayed away for fear of wasting my money. I have the sort of lashes that are really straight and it takes a lot of effort to make them curl. I literally have to curl my lashes, apply the mascara and curl them again afterwards to ensure they will stay curled all day. I found this mascara had a great small brush that really combed through the lashes and applied an equal coat of mascara to each lash. It didn’t clump or apply too much product, but combed and separated each lash really well. However, I do not feel that I would buy this product. Although it worked well and stayed applied all day, not flaking or irritating my eyes, it did not wow me to the extent that other mascaras do. For an every-day mascara, this would work well for anyone, but for a more intense and extreme, dark mascara look, this is not the product you’re looking for. It may be called high impact, but it really isnt all that impactive. 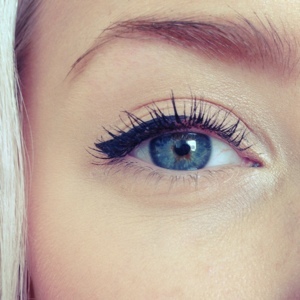 But it is a good mascara if you would like your lashes and eyes to look open and beautifully separated.